A Jashodaben clip on DD? Kala Pani! Jan 1, 2015: RTI application rejected. She files an appeal. 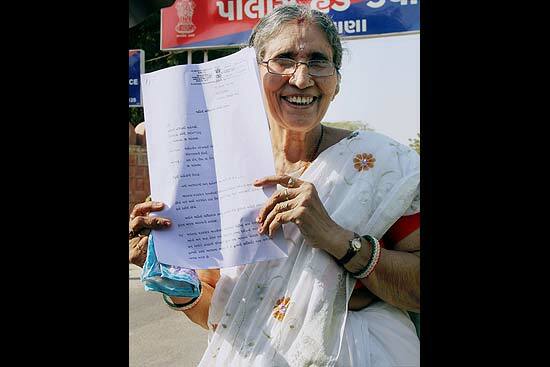 It must have been with forlorn hope that Jashodaben of Vadnagar, in the Mehsana district of Gujarat, filed a Right to Information (RTI) petition seeking to know if she was getting the security that is due to her as Prime Minister Narendra Modi’s wife. Her application of November 25, 2014, was rejected on new year’s day this year. So she followed up on the petition by filing an appeal. All this was surely newsworthy, having to do directly with the country’s chief executive. The private news channels played it up. Newspapers also took note. Internet-based media and social media networks buzzed, tittered and twittered about it. 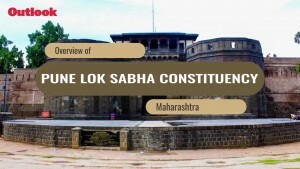 Even so, few would have expected Door­darshan, the state broadcaster, to follow the Jashodaben trail: for all the vaunted autonomy, Door­darshan officials are not exactly known to embarrass a government in power. When they do, lessons are driven home through hard knocks. It was no different this time. For broadcasting Jashodaben’s statements on the rejection of her RTI petition during prime time on January 1, the Doordarshan Kendra in Ahmedabad was asked to explain the very next day. Information & broadcasting secretary Bimal Julka is learnt to have demanded a written explanation from Doordar­shan’s director-general (news) Akshay Rawat and joint director Dharmendra Tiwari (who heads the Ahmedabad Kendra) for what is being seen as a ‘serious lapse’. And assistant director V.M. Vanol, responsible for putting together the broadcast, has been transferred from Ahmedabad to Port Blair, in the Andaman Islands, some 2,500 km away. “Why did the Kendra put out the news? How does it happen that when an explanation is sought, all that Door­darshan can proffer is an apology? Are there any standard operating procedures for news?” Julka wanted to know. Last week, a chastened Rawat was in Ahmedabad trying to find answers. With virtually every appointment made by the Union information & bro­a­dcasting ministry, Doordarshan and All India Radio (AIR) are micromanaged by the government. They are not free to hire from the pool of professionals private media houses rely on. All the same, governments like to pretend they do not interfere. Among the stated objectives of Prasar Bharati, the autonomous body gov­e­r­ning Doordarshan and AIR, is “to safeguard citizens’ rights to be informed on all matters of public interest by presenting a fair and balanced flow of information”. Rarely is this achieved without attracting the sort of action Vanol did. Just before the 2014 elections, when the Congress-led UPA government was in power, Door­darshan had angered the BJP over how it had edited an interview with its prime ministerial candidate Modi for broadcast. Then I&B minister Manish Tewari had said, “We keep Doordarshan and AIR at arm’s length.” No one believed him. No one is likely to believe the new I&B minister, Arun Jaitely, either, should he extol Doordarshan and AIR’s autonomy. For the record, Jashodaben is known to be wedded to Prime Minister Narendra Modi. It was a traditional childhood engagement, followed by marriage when Modi was 18. But the two hardly lived together as a couple: Modi soon left his native Vadnagar and is said to have wandered about the country before ending up as a full-time volunteer of the Rashtriya Swayamsevak Sangh (RSS). All along, he never acknowledged that he was married; since full-time RSS volunteers are expected to be bachelors, he was also taken for a bachelor. The first time Modi disclosed that he was married was in an affidavit filed with his nomination papers for the Vadodara seat during the 2014 Lok Sabha elections. In the affidavit, he also stated that his wife’s name was Jashodaben. But in his earlier nomination papers, for four elections to the Gujarat assembly, Modi had left the space for name of spouse blank.